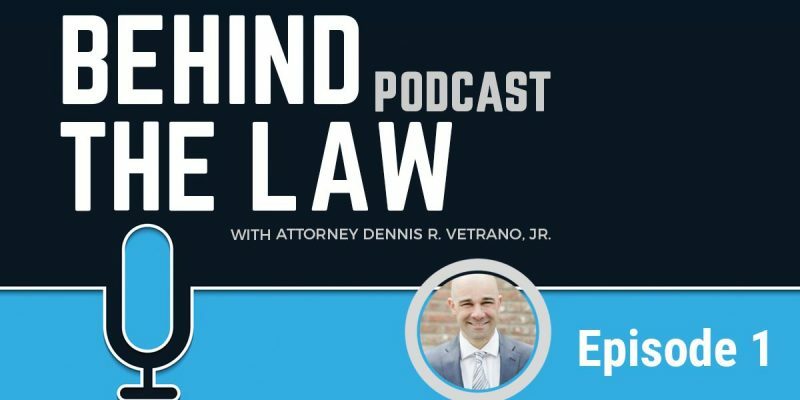 Welcome to the Behind the Law Podcast, hosted by attorney Dennis R. Vetrano, Jr. in Beacon, NY. In this first episode, Dennis is joined by Joe Amato (his marketing guy) and they discuss the purpose of this show and what the future holds for you, the listener. Get ready to hear about everything from law, to soccer, to inspiration, to career and relationship advice. Please let us know what you thought of our first ever episode! Thanks for listening.